New Kids on the Block will be receiving their Star on the Hollywood Walk of Fame on October 9th in Hollywood. Everyone is welcome to attend and it will take place at 11:30 AM at 7072 Hollywood Blvd. between Sycamore and La Brea streets. The guys got together in LA last weekend. I'm guessing they were making some plans for the future. 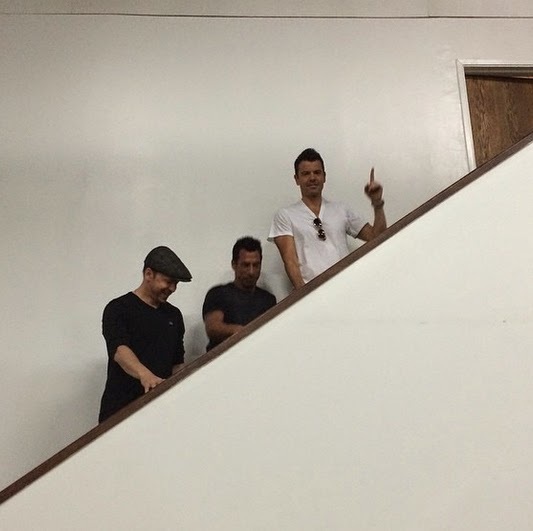 Here is a photo Joey shared of Donnie, Danny and Jordan re-enacting stair choreography from the Step by Step video. The TV Guide Network is rebranding itself as POP and has plans to air the series about the New Kids on the Block cruise in 2015. 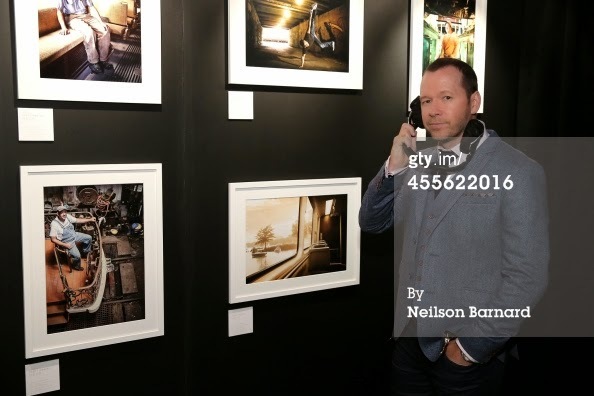 Donnie appeared at the Canon PIXMA PRO City Senses Gallery at EpiCenter in Boston on September 17 and displayed some of his own photographs. View some photos of the event here. Read Donnie's interview with OK Magazine in which he talks about Canon’s PIXMA Pro City Senses Pop-Up Gallery event, his favorite restaurants in Boston, Blue Bloods, the New Kids getting a star on Walk of Fame and more. Donnie talks about photography, Blue Bloods, his family life and more in this article from Boston.com. US Magazine posted an article about Donnie and Jenny's appearance at the Canon PIXMA PRO City Senses Gallery event in Boston. 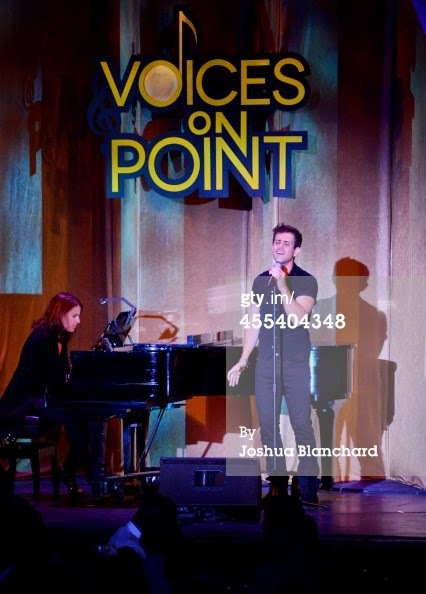 Joey recently attended and performed at the Voices On Point gala in Los Angeles, at the Hyatt Regency Century Plaza on September 13. Check out some photos of him here. Read Joey's interview with CBS where he talks about his first job, what prop he would like steal from the set of of the McCarthy's, what famous person would he like to have dinner with, what's on his music playlist, his "go-to" karaoke song and more. Joey talks about the going to a Patroits/Raiders game in this video clip from CBS (his part starts around 4:00). Nick and Knight are now offering "After Show Quickie" in which you can get a photo with Jordan and Nick. You can buy tickets on the Nick and Knight website. Jordan is hosting an "After Work Hangout" in St. Louis on Monday. You can get tickets here. Jordan did a Twitter takeover of @1023TheMax, scroll back to September 9 to read his posts. He will be doing another Twitter chat with KDWB on Monday at 10AM (central time).